The BNF is presenting until February 26th, 2017 The France of AVEDON Old World New Look exceptional exhibition of vintage prints made by Avedon, contact sheets annotated by the famous American fashion photographer. It reveals his special relationship with France, which has continued to nurture his work and to renew his inspiration throughout his life. The documents largely loaned by the Richard Avedon Foundation in New York, for some, exposed for the first time. The Christian Dior fashion show in 1947 immediately christened “New Look” by the editor of Harper’s Bazaar, is the founding act of the revival of a country, France, inventing a new style on the ruins of World War II and vanguards of the interwar era. At the forefront of the parade, alongside Carmel Snow the editor of Harper’s Bazaar, a young photographer discovers for the first time fashion in France: Richard Avedon. Hired a year ago by Alexey Brodovitch his professor at the New School for Social Research in New York and artistic director of the magazine, Avedon is already the leading photographer of the magazine where his fashion shots renew the genre. It breaks with the tradition of the studio by his models pose in the streets of Paris. His fashion images speak of spontaneity, movement, vitality. The portraits of celebrities he realizes also exude a freshness and spontaneity unprecedented, the photographer loving blazing sessions where the model does not have time to get bored. Avedon, moreover, does not claim to make portraits more “real”. Indeed, he said, “there is no truth in photography. And there is not one truth in someone. My portraits are more a reflection of myself that people I photograph. “This personal analysis is in fact a universal truth about portrait photography. The introduction is cinematic: the first room of the exhibition, entitled “Funny Face” is a traveling around a Photomaton Mutoscope cabin of the late 50s in the center of the piece: the same model as that used by Avedon for his famous photo booth portraits. In counterpoint to the panoramic format reproductions of the film lining the walls, a marvel of 4 cm 2 with a tiny booth portrait Audrey Hepburn Mel Ferrer and surrounded by Truman Capote. 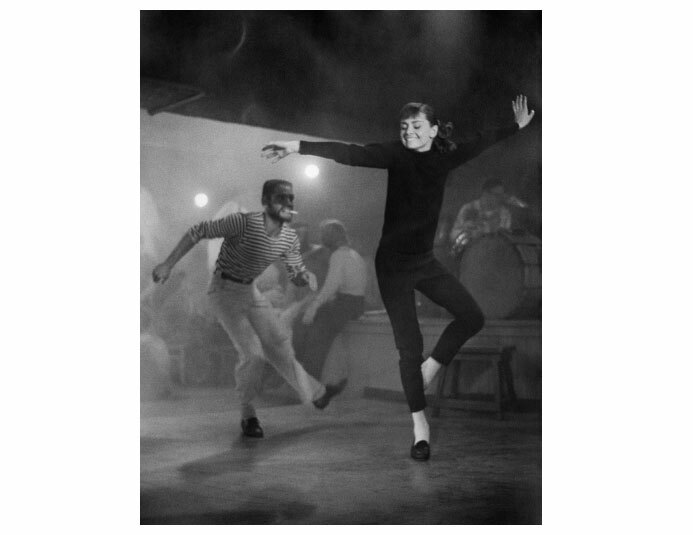 The film “Funny Face” with Fred Astaire and Audrey Hepburn shot in Paris in 1956, was inspired by the career of the photographer. Committed by director Stanley Donen as “visual consultant” Avedon is a successful fusion between fashion photography and musical hollywodienne renewing the genre. It applies the tricks of his trade on the big screen. The moment, the scene captured by the camera of Avedon is filmed by Stanley Donen and then be integrated into the film flow. Scenography perfectly aware of this technical feat by Avedon invented using mirrors but the exact device still mysterious !! The most unexpected room throughout the exhibition, however, represents an important period in the course of the career of photographer: these three years in which Avedon will dive into the work of another photographer who goes operate in him a profound renewal of inspiration and practice, leading to the break the chain linking it to the magazines that began to choke him. Strange as it may seem, Avedon had ambitions to become the greatest photographer of the twentieth century, was also a humble man. 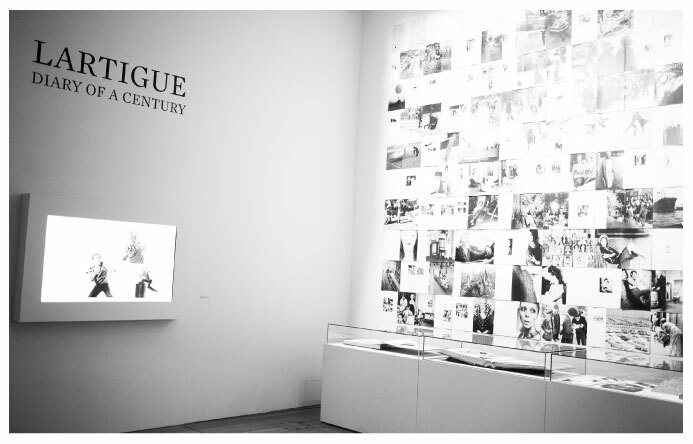 At least it is with humility that discusses the work of Jacques Henri Lartigue discovered in 1963 at the first exhibition devoted to him the Moma in New York. He sees what is presented as a “genius amateur photographer”, the nostalgic witness of the Belle Epoque, but also the time that it continues to shoot with a dazzling style. After a first meeting in 1966, Avedon real “discoverer” of Lartigue, plans to show the work of Lartigue as a total work through a book based on his diary: Diary of a Century. 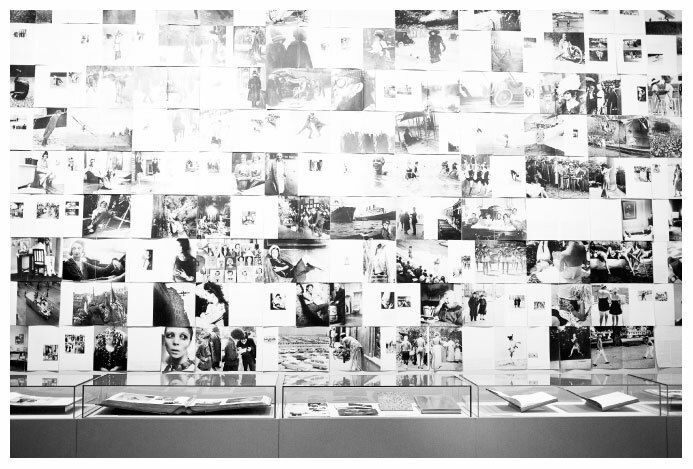 Designed and imaged by Avedon, the book is the heart of the exhibition at the BNF. It reveals a disturbing stylistic filiation between Lartigue and American portrait painter. 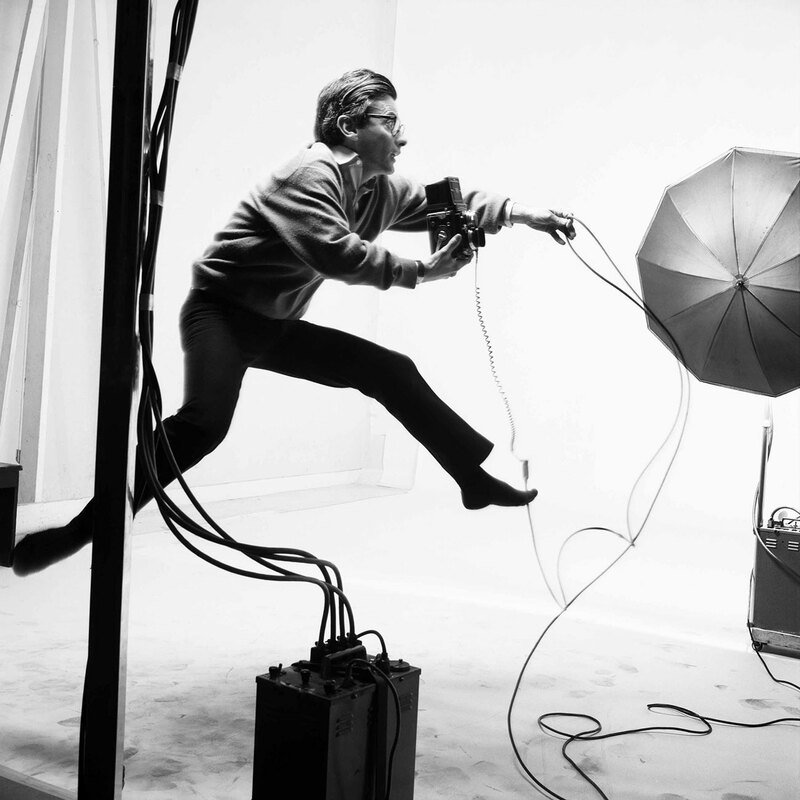 If during those three years, Avedon performs no cliché Lartigue, he asks Lartigue photograph and asked him to realize his portrait in motion, jumping, referring to a cult image Bichonnade taken by Lartigue in 1905 (a woman petticoats jumping over a staircase), as if his dream was recognition that physical entry in the work of Lartigue. To realize the book says co-curator of the exhibition, Marianne Le Galliard, Avedon Lartigue asked to provide original prints. The only prints available, Lartigue loosens his newspaper to send to Avedon requiring vintage prints which he then sent to the printer located in Switzerland with written recommendations to optimize reproduction. Everything was done and funded by Avedon. After the exciting adventures of biographical book Lartigue, Avedon made his book “In the American West,” a very personal work, a form of liberation: Avedon hit the road documenting the American West through portraits of workers made room on white background, a sheet of paper taped to the garage doors. Last room of the exhibition, one devoted to the period of the Egoist magazine founded by Nicole Wisniak in Paris in the late 70s: the gallery of portraits published in large format and total creative freedom in this prestigious journal, we discovers a small series of three portraits of Isabelle Adjani Deauville made a series very “cinematic” which completes the proof hybridity Avedon’s work from the cinema, magazines, from books to contemporary art by breaking the distinctions between art and what is not supposed to be. With the support from the Terra Foundation for American Art and the Foundation Louis Roederer, Major Patron of Culture.